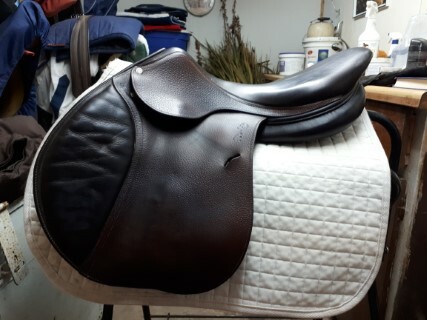 Jump saddle in great condition. Dark brown, calf skin leather seat. Front and back blocks. Well taken care of. Stored indoors during winter month. Saddle cover included.